Hi there! Rachel from Fawn here with you today. 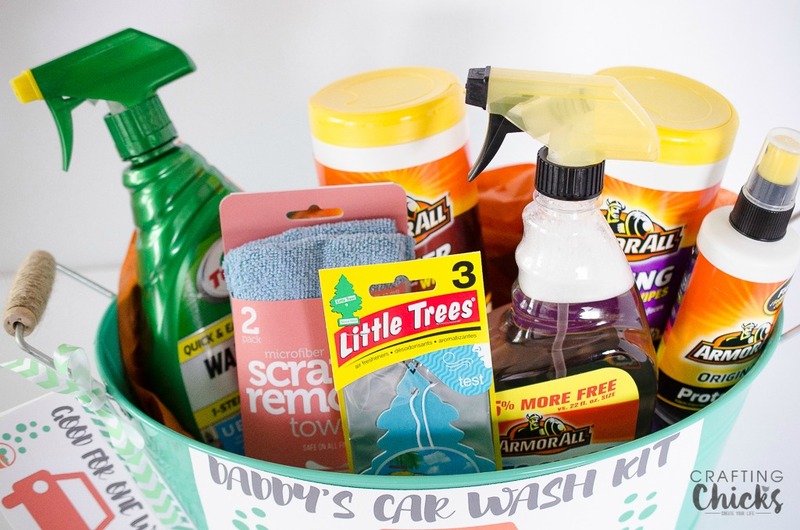 Are you looking for a Father’s Day gift idea that all dads are sure to love? Check out this fun and easy gift for all the amazing men in your life. Growing up, one of my favorite things to do was to help my Dad wash the car. I loved the sudsy bubbles, scrubbing the tires with a special brush and squirting the hose all over the car. Of course, what was supposed to be an hour of washing the car turned into an all day water fight. You can’t give a kid a hose and not expect to get squirted! 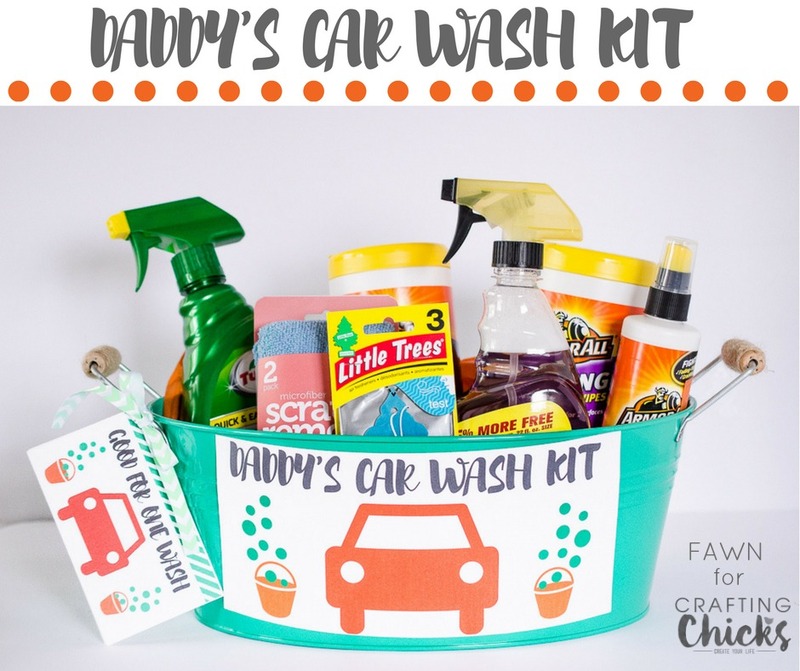 Even though our car never got really clean, the memories I have of those summer days washing the car with Dad are priceless. 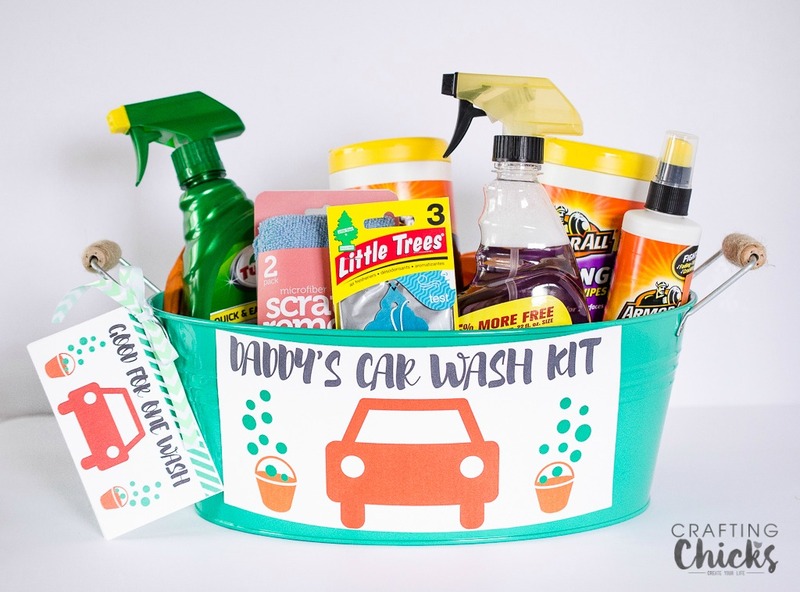 This Father’s Day, I wanted to give my husband a car washing kit so he and our daughter could start building those silly summer car washing memories. This kit is quick and simple to put together and you can make it as inexpensive or expensive as you want. 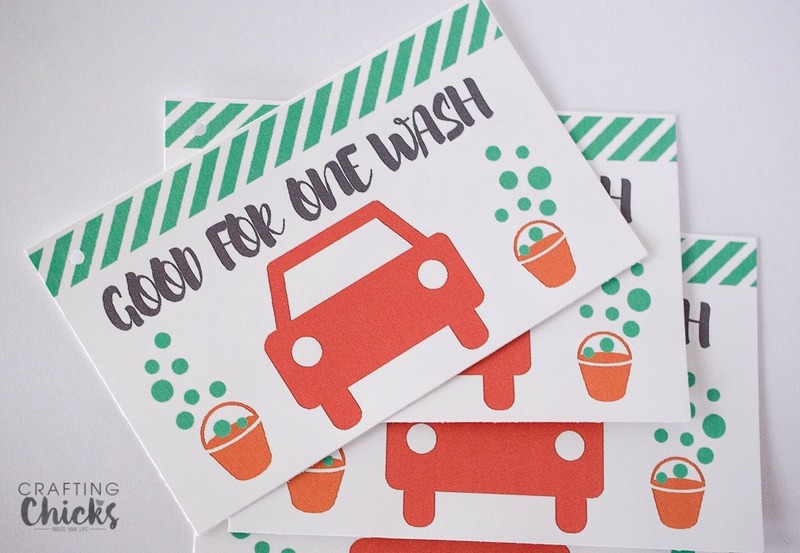 I purchased my products at Target but the dollar store has many car washing items that would work great as well. Heck, even a couple rolls of paper towels thrown in and you’re good! I found this bucket at Target in the dollar section and knew it would be perfect. 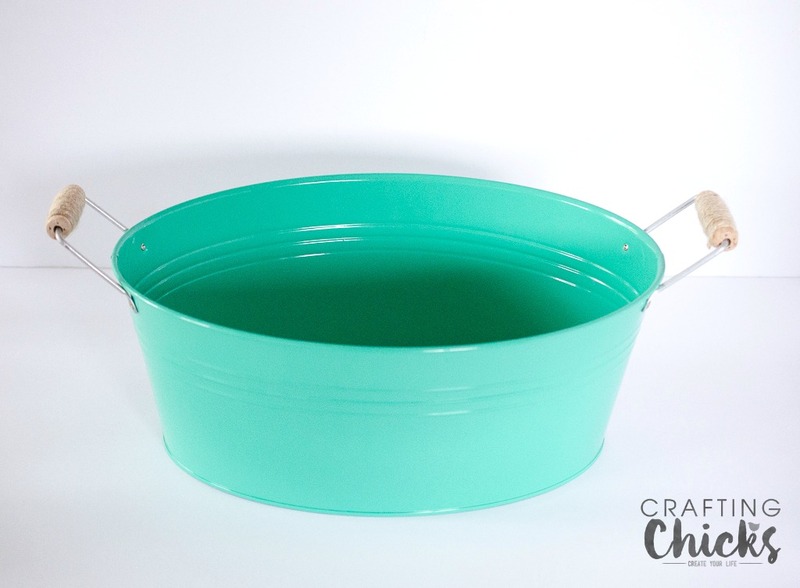 I loved the color ( my husband couldn’t care less about the color of a bucket…but I do!) and wanted to make a coordinating label to go with it. You can download the bucket label HERE, then print it, cut it out and attach it to the front of the bucket. 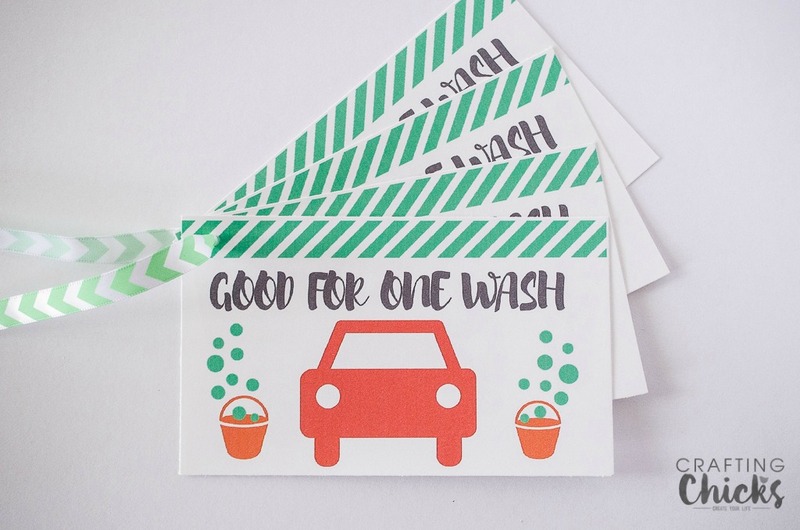 You can also download and print out these cute car wash coupons HERE. 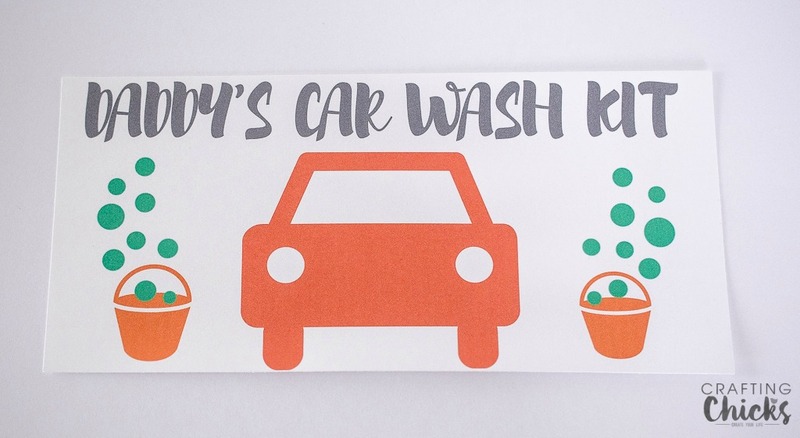 My daughter is so excited for Dad to hand her a coupon so she can help him wash the car. After you’ve printed out the coupons, punch a hole in the corners and thread a ribbon through the holes. Tie the coupons to one of the handles of the kit or you can tuck them inside. 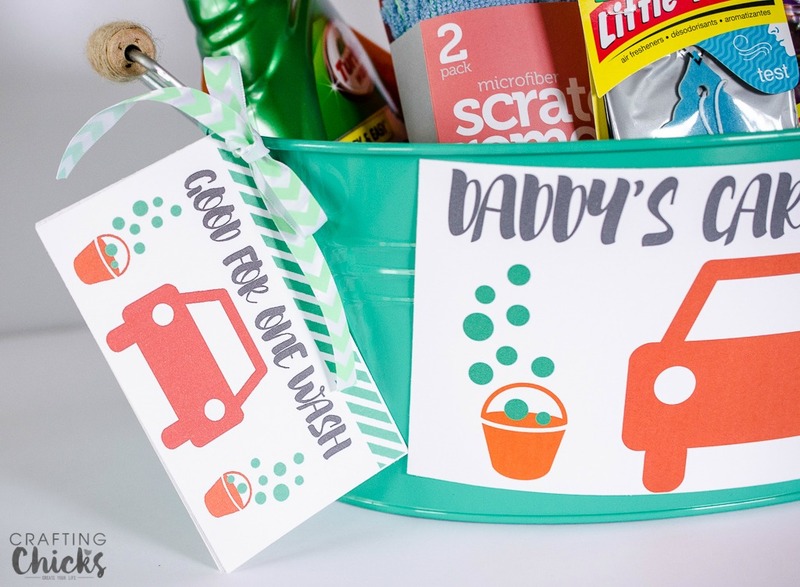 Finally, fill the bucket with supplies for all his car washing needs and you’re all set! Thanks so much for stopping by and have a Happy Father’s Day! Very cute! And what Dad wouldn’t love this! Thanks for the great idea.